Twisted sterling silver band ring, with faux amathyst color stone. 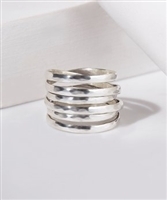 Twisted sterling silver band ring, with white c.z. Double loop sterling silver ring with purple c.z. Double loop sterling silver ring with white c.z. Double loop sterling silver ring with blue c.z. 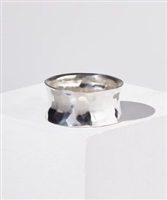 Polish off your ensemble with an artistic touch by slipping on this playful twist sterling silver ring. Experience your boho-inspired looks with these earrings' hammered texture and gleaming sterling silver construction. Two pear shape C.Z. sterling silver ring. Triangular C.Z. white stone sterling silver ring. Polish off your ensemble with an artistic touch by slipping on this playful curved sterling silver ring. 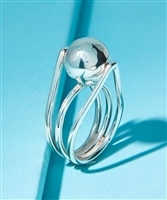 Complement your ensemble with eye-catching shine by slipping on this chic sterling silver ring. Sleek sterling silver is given dimension by an on-trend hammered finish for a dose of subtle shine and elegance. Put a little luck and a lot of shimmer to hands with this intricate ring finished in gleaming sterling silver and gleaming goldtone. Add a sparkling touch when you adorn your fingers with this charming ring. Complement your ensemble with eye-catching shine by slipping on this chic sterling silver band. A pop of color accentuates the clean lines and timeless glimmer of this sterling silver ring. 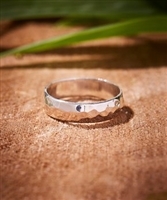 Enrich your digits with this sleek and shimmering band ring finished in gleaming sterling silver. 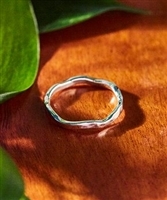 Give your ensemble some edge with this modern sterling silver ring. Adorn your hand with subtle sophistication by adding this polished teardrop-inspired ring that's wrapped in shimmering sterling silver. 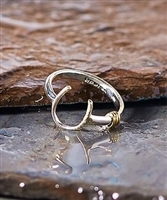 Small, double-circle detailing lends mod-inspired allure to this gleaming sterling silver bypass ring. Polish off your ensemble with an artistic touch by slipping on this playful dotted spiral sterling silver ring.